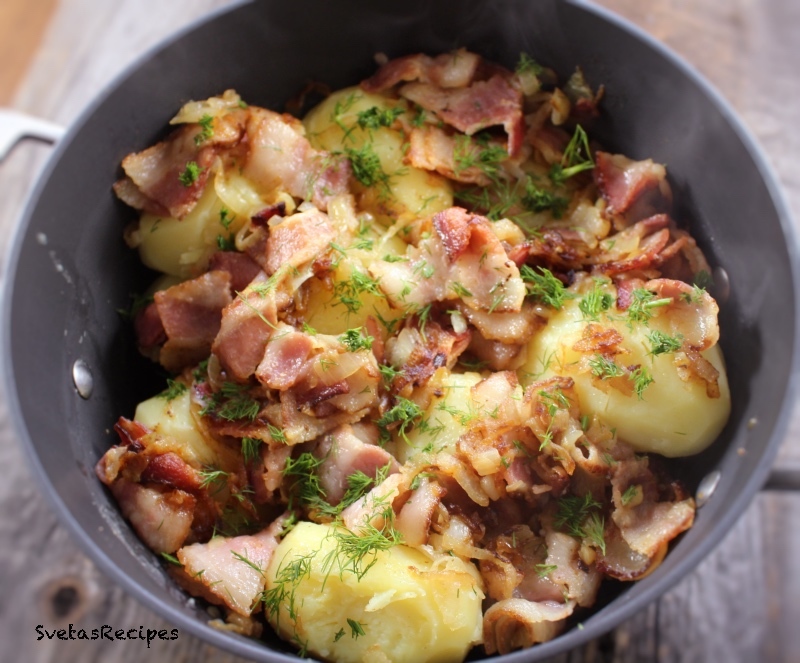 Potatoes With Smoked Bacon with onions is a very great and appetizing meal, that goes with many families. Its also more tasty with a salad. 1.) Wash, dry and peel your potatoes. In a large pot add your salt and water. Cook in a covered pot for an hour on a medium heat.When tender drain the water. Next Cut your bacon and onions. Place it into a sauce pan and fry for 7 minutes. 2.) 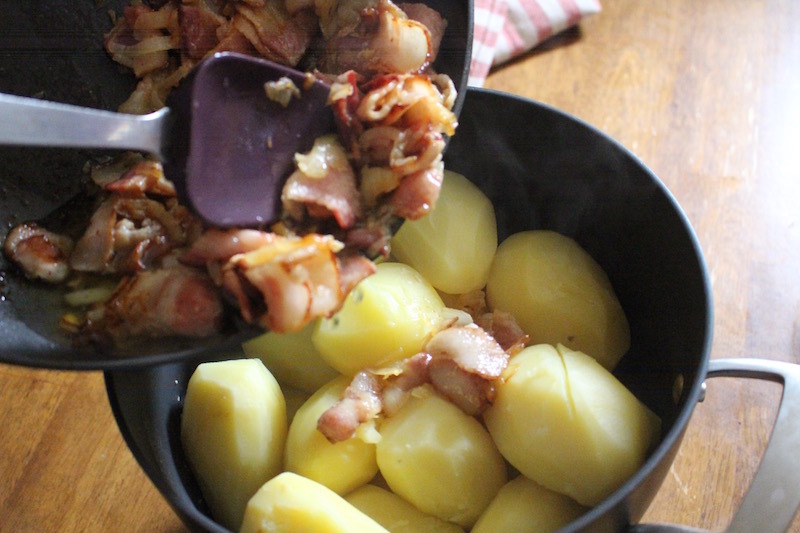 Add your bacon to the large pot and mix well. Place on a serving dish and enjoy. Note: If you would like to sprinkle some dills on top. Wash, dry and peel your potatoes. In a large pot add your salt and water. Cook in a covered pot for an hour on a medium heat.When tender drain the water. 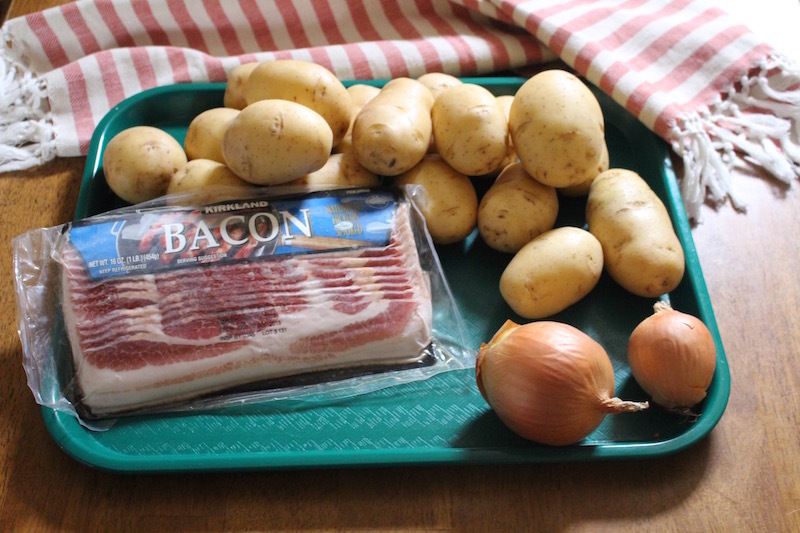 Next Cut your bacon and onions. Place it into a sauce pan and fry for 7 minutes. 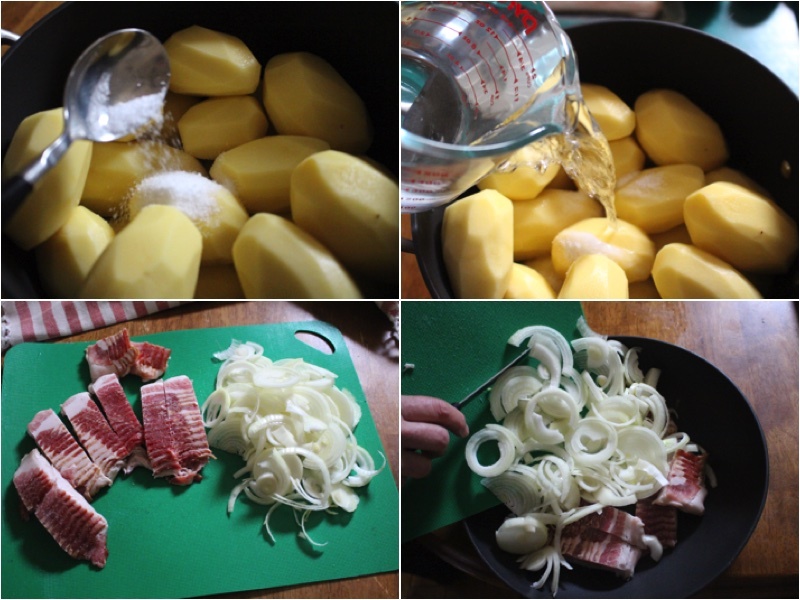 Add your bacon to the large pot and mix well. Place on a serving dish and enjoy.